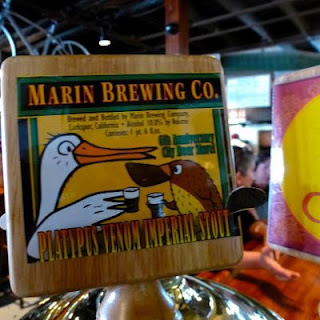 Saw this on Marin Brewing's Facebook page this morning. I'll have to try it next time I'm down in Larkspur and report back. Adding ice cream is an interesting touch. At 10% abv, I'll have to tread carefully. Platypus Stout - no kidding!